This timepieces technically does not have a crown to wind it, no hands, and no dial. Yet it is a Flying Tourbillon with an 8 day power reserve mechanical wind movement. It is a 45mm white gold case with blue base plate, the impressive 8 day main spring is visible through the exhibition glass back. Superluminova has been added for the minute and hour, allowing for visibility at night. 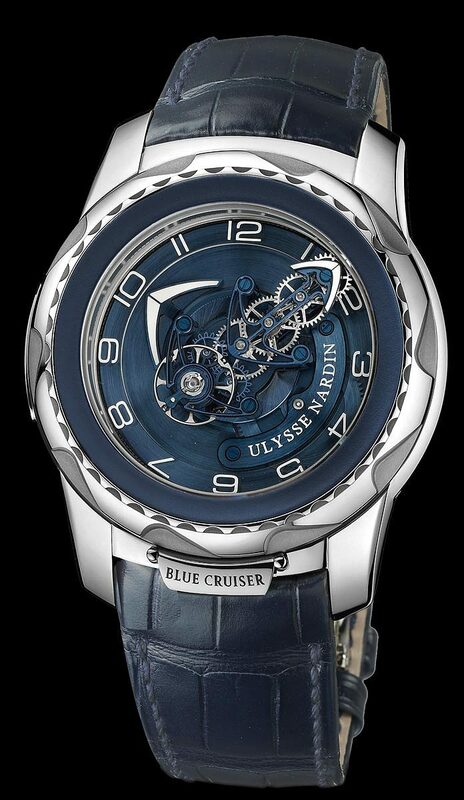 It is Available on a dark blue crocodile leather strap with white gold folding buckle.